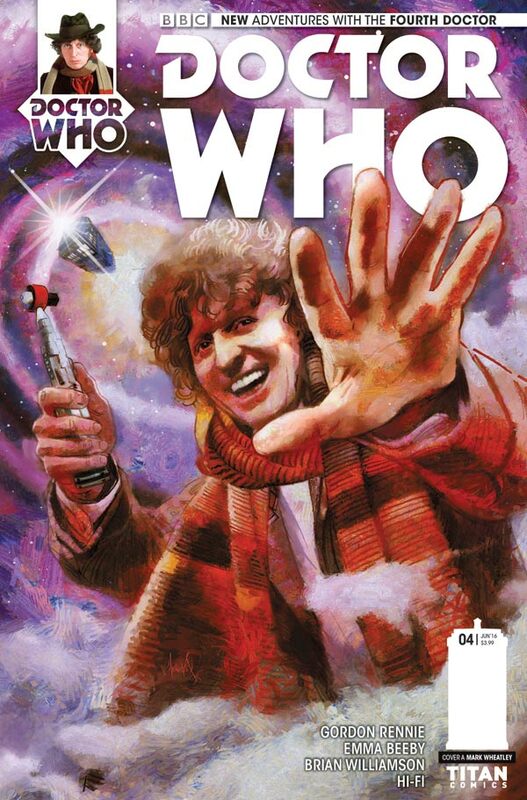 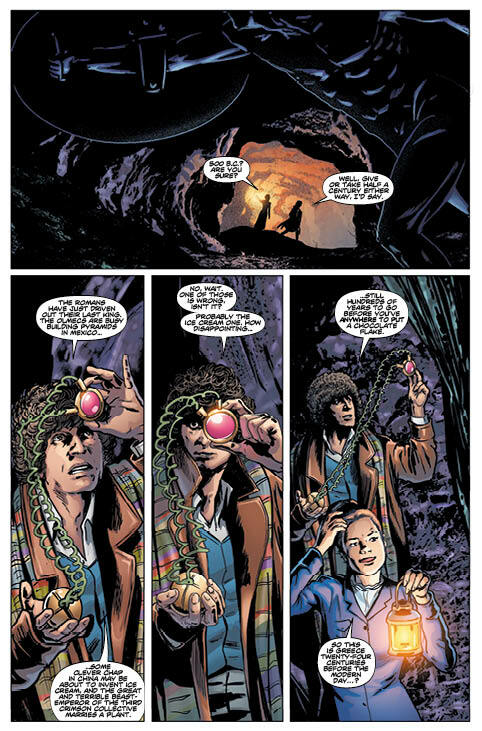 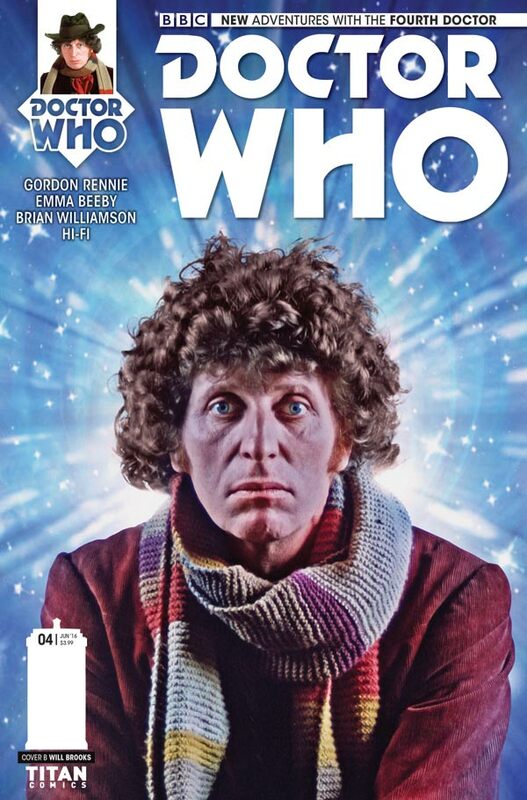 The Fellowship has obtained a first look at DOCTOR WHO: THE FOURTH DOCTOR #4 from Titan Comics. 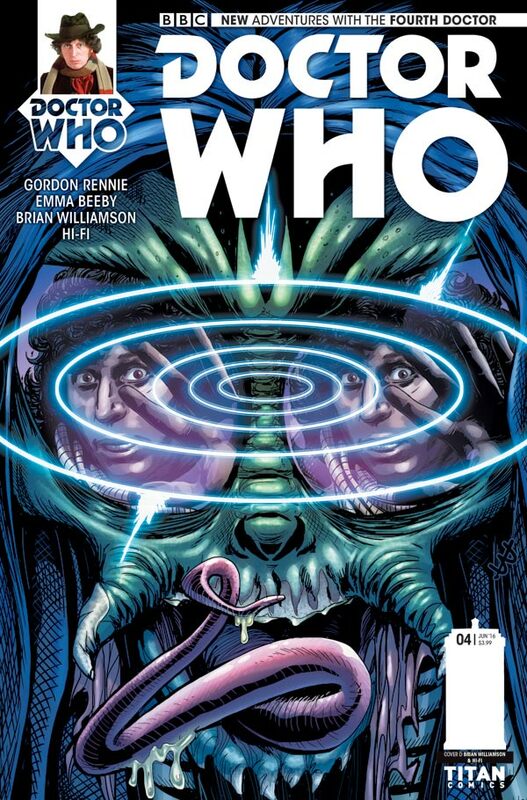 The issue, which hits stores July 13th, is written by Gordon Rennie & Emma Beeby with art by Brian Williamson. 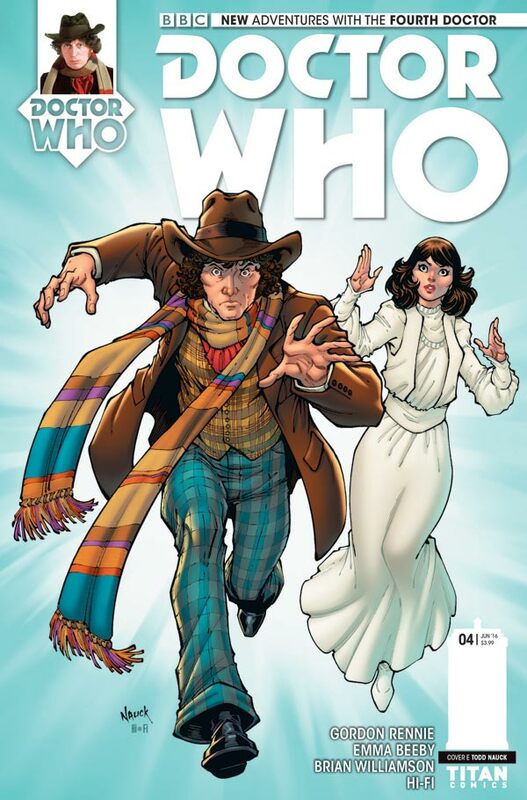 The cover is by Mark Wheatley, with variants by Kelly Yates, Brian Williamson, Todd Nauck and a photo variant. 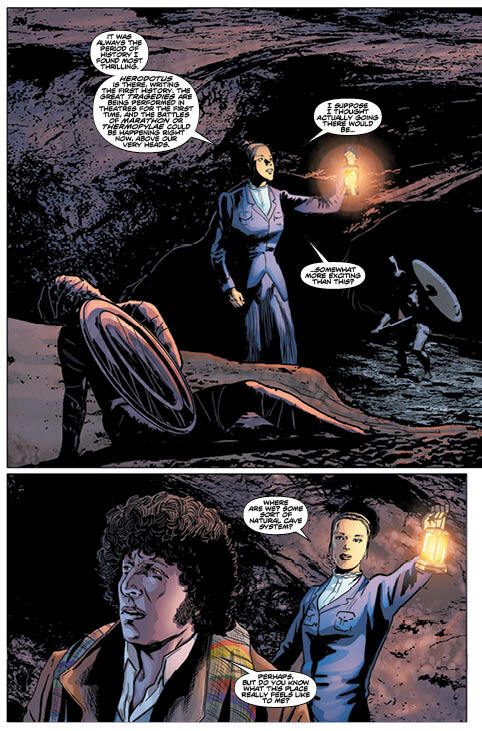 The penultimate chapter of 'GAZE OF THE MEDUSA'! 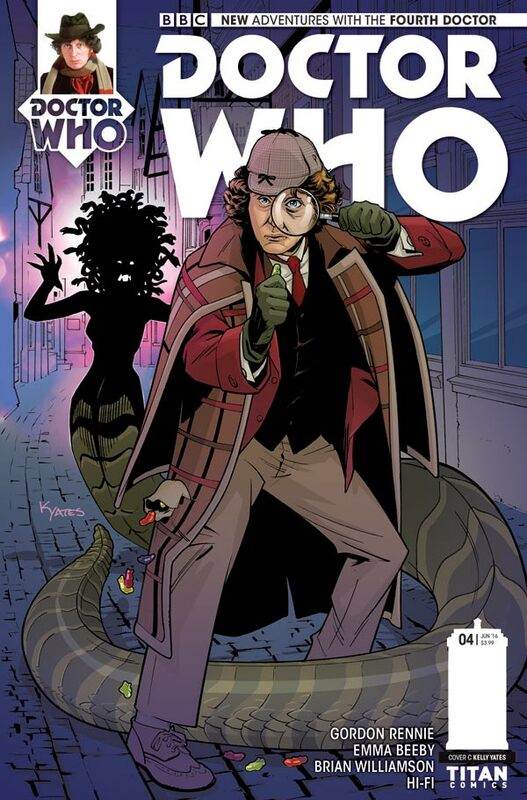 Sarah Jane and Professor Odysseus are trapped in the ancient past, while the Doctor and the Professor's daughter, Athena, attempt to steal the Lamp of Chronos from Lady Emily Carstairs and her giant Scryclopes! 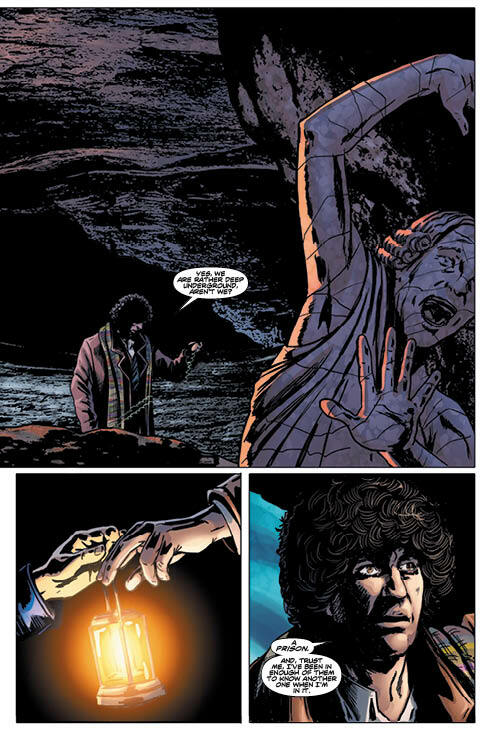 And looming large over both time zones... the 'MEDUSA' itself!